I am a Senior Lecturer in the Department of Mathematics and Statistics at Lancaster University. Before coming here, I held postdoctoral positions at the Fields Institute, University of Toronto, (from 07.2011 to 12.2011) and at York University (from 01.2012 to 06.2012). Prior to that (from 06.2009 to 06.2011), I worked as a postdoctoral fellow in the Discrete Geometry Group at the TU Berlin (and FU Berlin) under the direction of Günter M. Ziegler. I studied mathematics and computer science at the FU Berlin and at Western Michigan University, and I did my Ph.D. in Toronto (York University, 05.2009) with Walter Whiteley. In general, I have a strong interest in the rich interactions between discrete geometry, combinatorics, symmetry, and algorithmic considerations. I frequently work on theoretical problems which are motivated by questions from the applied sciences. A particular focus of my research is rigidity theory and the application of algebraic and analytic methods, such as methods from group representation theory or operator theory, to the rigidity analysis of structures that possess non-trivial symmetries (both finite structures with point group symmetry and infinite structures with periodic or crystallographic symmetry). My work on this topic has recently been supported by the EPSRC First Grant EP/M013642/1, entitled "Combinatorial Rigidity, Symmetric Geometric Constraint Systems, And Applications". Rigidity theory is concerned with the rigidity and flexibility of structures which are defined by geometric constraints (fixed lengths, fixed areas, fixed directions, etc.) on a set of rigid objects (points, line segments, polygons, etc.). A representative, and very well studied example is the (d-dimensional) bar-and-joint framework which is a straight-line realisation of a finite simple graph in Euclidean d-space. 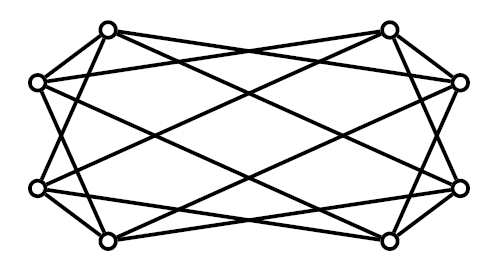 Intuitively, we may think of a bar-and-joint framework as a collection of fixed-length bars (corresponding to the edges of the graph) which are connected at their ends by joints (corresponding to the vertices of the graph) that allow bending in any direction. Such a framework is said to be `rigid' if, loosely speaking, it cannot be deformed continuously into another non-congruent framework while keeping the lengths of all edges fixed. Moreover, the framework is `globally rigid' if it is the only framework in d-space with the same graph and edge lengths, up to congruent motions. The origins of rigidity theory can be traced back to the work of Euler, Cauchy, Maxwell, Möbius and Plücker, among others. A famous early result, for example, is Cauchy's rigidity theorem from 1813, which says that a convex polytope with rigid faces cannot be deformed. The mathematical theory of rigidity has both combinatorial and geometric aspects and draws on techniques from a wide range of mathematical areas, including graph theory, matroid theory, positive semidefinite programming, representation theory of symmetry groups and algebraic and projective geometry. 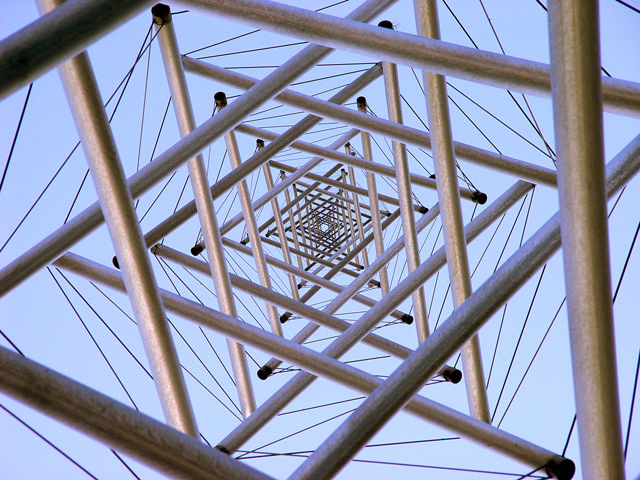 When the structures are infinite, as in a mathematical model for a periodic crystal for example, methods from functional analysis and operator theory become relevant. Since the rigidity and flexibility properties of a structure — either man-made, such as a building, bridge or mechanical linkage, or found in nature, such as a biomolecule, protein or crystal — are critical to its form, behavior and functioning, rigidity theory has many practical applications in fields such as engineering, robotics, materials science, medicine and biochemistry. The methodology of rigidity and global rigidity also has applications in computer-aided design (CAD), network sensoring, motion planning, NMR reconstruction, and percolation theory. One of my favorite examples of a framework in the plane which flexes due to (dihedral) symmetry: Here you can see the flex of this framework (which is also known as `Bottema's mechanism'). An example of an infinite periodic framework in the plane which has a two-dimensional space of flexes due to additional half-turn symmetry is shown here and here. The thesis was awarded the York University Dissertation Prize 2010 (for best thesis of the year across all disciplines). Together with Bruno Benedetti, I organized the Discrete Geometry Seminar at TU Berlin (and FU Berlin) from fall 2009 to summer 2011.